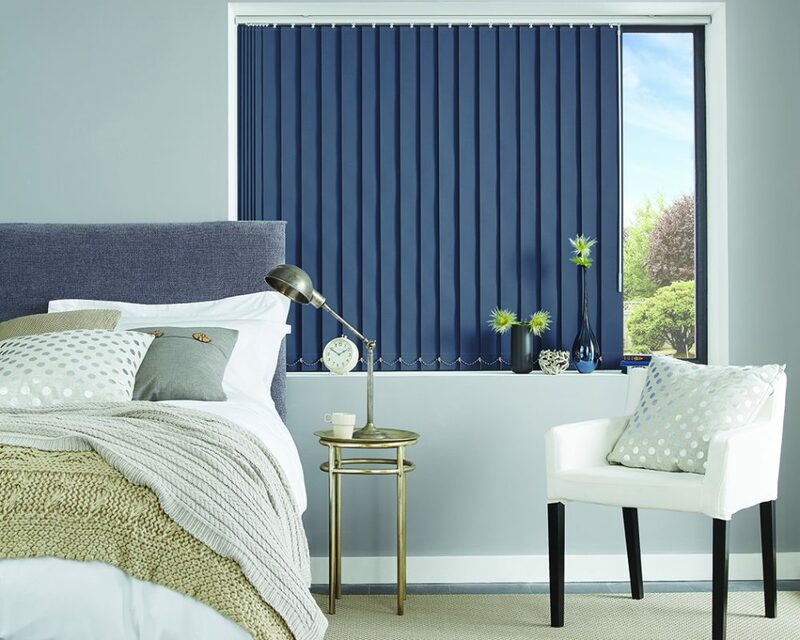 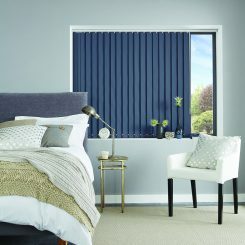 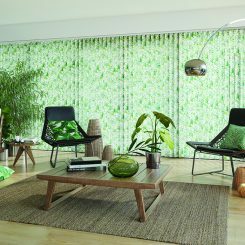 Whatever style or character; traditional, modern, contemporary or simply fashionable, you will find it in our vertical blinds collection. 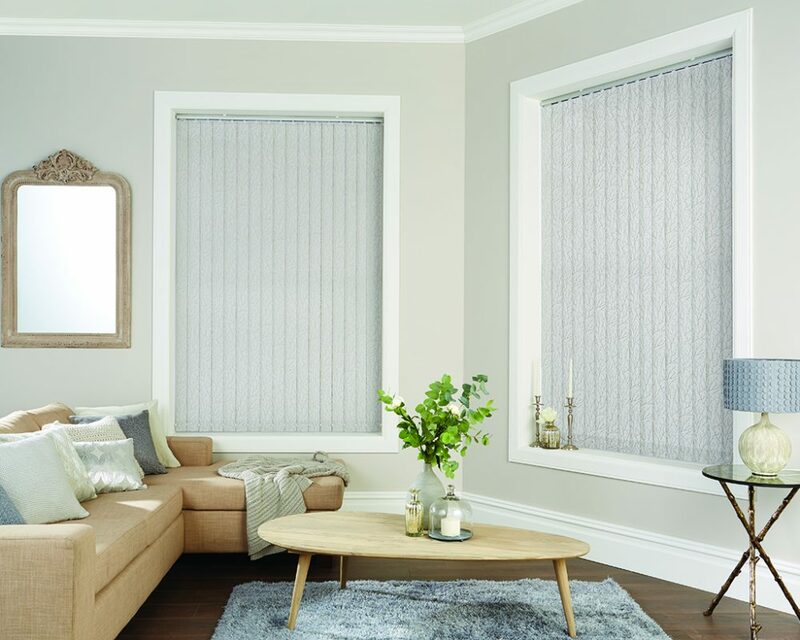 Vertical Blinds are ideal for controlling the amount of light that enters your room and for protecting furnishings from sunlight. 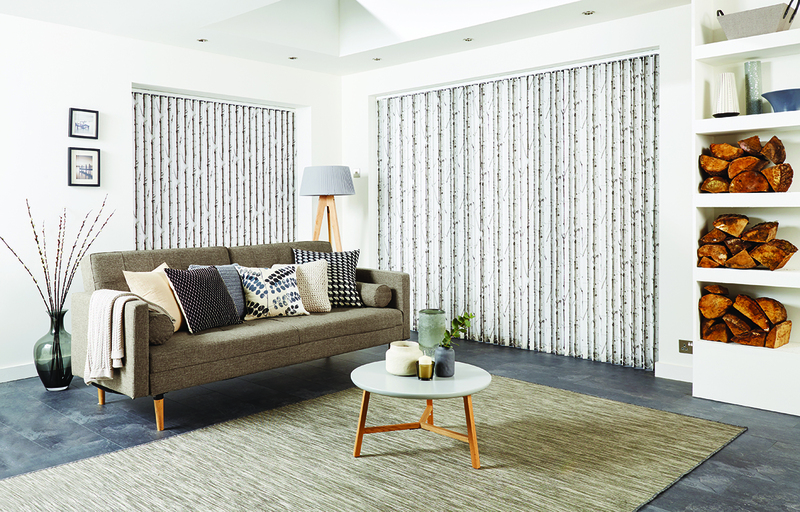 Perfect for large patio windows and conservatories – vertical blinds can create stunning effects whilst maintaining privacy. 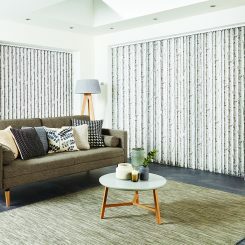 Our vertical blind range is an eclectic mix of beautiful jacquard weaves and designs in contemporary colour ways, seductive suede’s and organic natural hues, all of which create blinds of pure distinction. 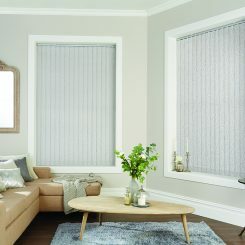 Available in 89mm or 127mm widths all blinds are tailor made to your exact requirements. 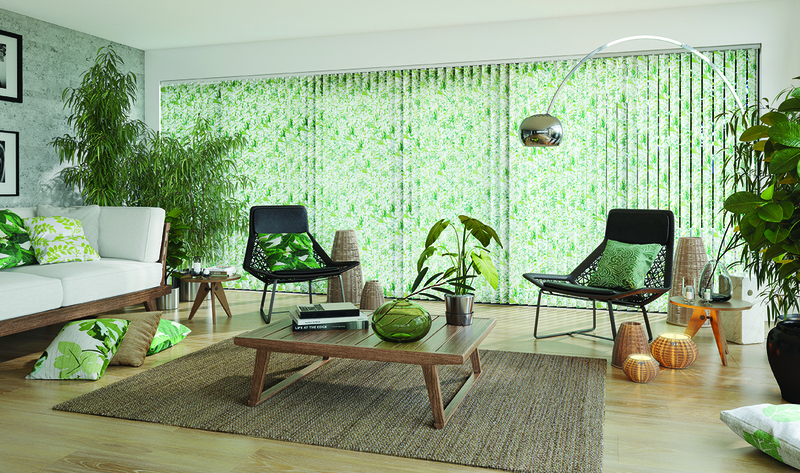 Many fabrics are also machine washable to keep your blinds clean, fresh and looking good for many years to come.